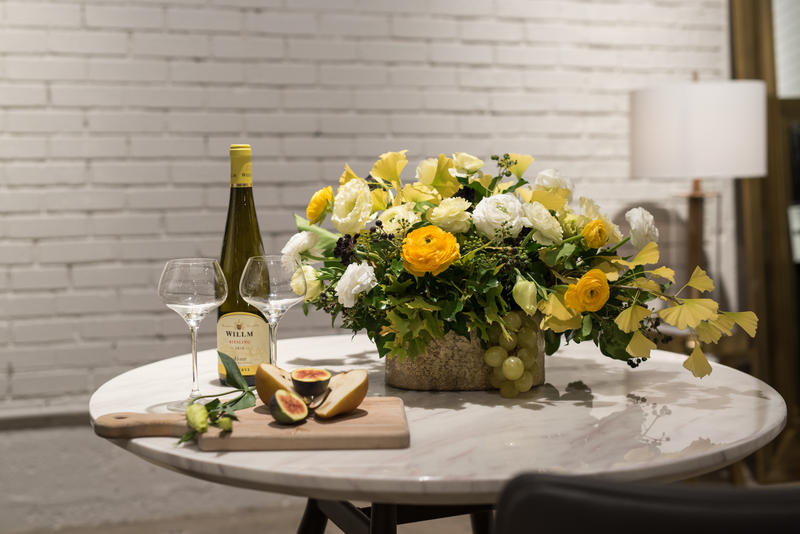 Founded on a passion for winemaking and a commitment to excellence, the Maison Willm has been satisfying epicurean palates for over 120 years with its refined and unique wines. Known for their complex fruit and authenticity, these wines are the product of years of hands-on experience and know-how passed down from generation to generation. The story begins in the small town of Barr in 1896, in the heart of the famous Clos Gaensbrœnnel. Situated at the base of the majestic Grand Cru Kirchberg de Barr, the region benefits from a dry and sunny microclimate with clay and limestone soils, which together give the terroir its exceptional quality. At the base of the majestic Grand Cru Kirchberg de Barr, the Willm family founded the Willm wine estate. This winery is characterized by a unique terroir and diverse landscapes, the embodiment of an exceptional wine region. The terroir enjoys a dry, sunny micro-climate with primarily granite and clay-limestone soils, bringing freshness, precision and finesse to the wines. Due to the sloping nature of the grounds, however, exploitation of this land presented a great challenge. Resident Adolphe Willm was taken by this quality, and had a deep fascination for working the terroir. Initially pursuing multiple careers as both restaurant owner and winegrower, his passion for this terroir quickly drove him to a single devotion: he embraced the challenge of exploiting this terroir as a full-time winegrower, giving birth to the Maison Willm. These three hectares of vines produce one of the world’s best Gewurztraminers: the exceptional Clos Gaensbrœnnel. These dry, mineral wines were particularly well-received by Anglo-Saxons. 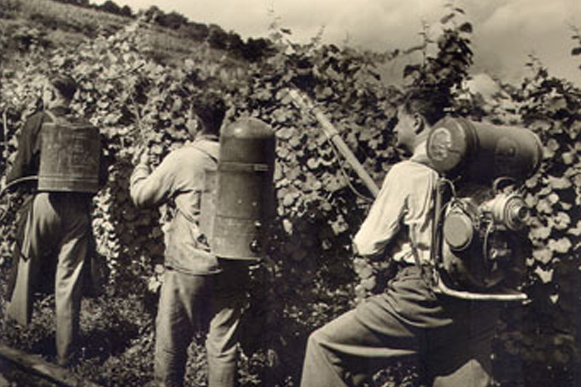 In the 1930s, Willm began internationalizing his wines. They were among the first Alsace wines to be exported to the United States at the end of the Prohibition Era, served on the famous transatlantic liner, France. Legend has it that bottles of the voluptuous Clos Gaensbroennel could be found in Al Capone’s wine cellars in 1939! 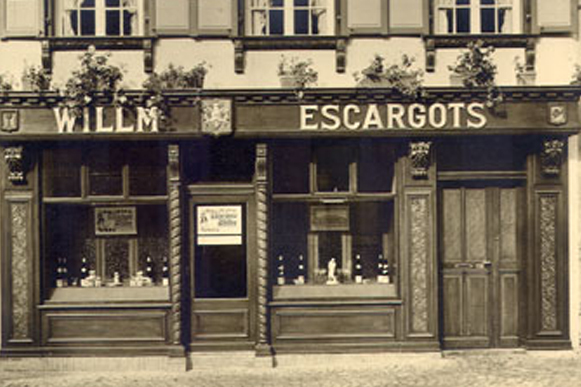 Before the Maison Willm was known for its wines, it was primarily renowned for its escargots à l’Alsacienne. This old recipe, which consisted of cooking the snail in a broth of spices and white wine, was one of the Maison’s first successful businesses. Adolphe Willm wanted to focus on the association of gastronomy and winemaking before devoting himself uniquely to the latter. 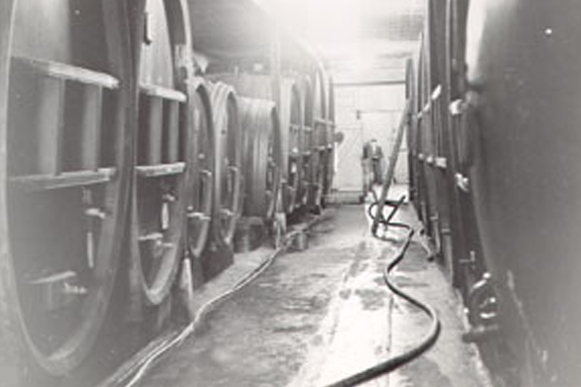 The success of the Willm wines quickly expanded beyond the borders of the Alsace region, making it one of the first Alsatian wines sold in the US and Canada. Since its official foundation under the name “Alsace Willm,” the Maison Willm has become world-renowned. In Japan, in Taiwan, from Italy to Canada and the US, these wines have earned a reputation worldwide as both refined and accessible, and are known to pair seamlessly with a diverse array of foods. Along with our ambition to become the leading brand in Alsatian wines, our historical know-how and our unique terroir are seen as major attributes for emerging markets. Today heirs of the Maison Willm, our 6 winegrowers immortalize this know-how in the respect for the traditions and for the nature. To visit our site, you must be of legal age to buy or consume alcohol. If there is no legislation in your country, you must be at least 18 years old.